YouTube might not have started out as a music service, but it's become one of the world's most popular ones over the years, and your music needs to be there. Advertising revenue may be low, but that doesn’t mean you don’t want to grab as many viewers as possible. It’s great to keep your fans coming back, but a well-designed, visual-heavy page will hopefully also attract new listeners, some of whom may become big fans of yours. Your YouTube profile page is sort of a home base for you on the site, and while people come for your videos, many of them will check out your page to learn more, so you need to make sure you’ve made it as perfect as possible. Here are the biggest areas where you need to focus some attention. Your profile picture should not only reflect you, but where you are now as an artist. What do I mean by that? Well, I’ll give you the same advice that I tell friends when they’re setting up dating profiles online: don’t have pictures taken once and use them years later, when they no longer even look like you. Your profile photos should change as your music does, from campaign to campaign. With every new phase of your career – usually marked by the coming of a new album – you should have a new "look." Now, I’m not saying you need to go all Madonna and reinvent yourself every three years, but would a new picture kill you? Once you have those taken and they’re ready to go, make sure you upload them to any site where people may go to hear or see you, YouTube included. Keep in mind that your profile picture is one of the first things they’ll see, so make your snapshot a good one. Every social channel these days has adopted the idea of a header image, and YouTube is no different. Like your profile picture, this is one of the first things that stands out when people open your page, only this one is much larger. The header image is a little more difficult, as there are specific dimensions that work best, and you have to make sure that whatever you use fits perfectly in that space. Don’t be lazy here, or people will immediately be able to tell. An image that is stretched too far or that simply doesn’t fit will immediately tell people just how much you care about how you come off. Having a terribly sized or oddly composed header image would be like showing up to a job interview in a suit, though with a dirty T-shirt and sandals. Think it’s going to go well? This is the first video that people will watch when they click onto your actual profile page, so it should be something that will hook them, but at the same time, it needs to quickly give the viewer an idea as to what kind of artist you are. Some channels have a trailer, and that’s certainly a consideration... but it might not be the best option for a musician. People aren’t coming to your page to hear you speak (for the most part). They want music, so give it to them! I’d suggest making your main video, which starts playing immediately once somebody lands on your profile page, your latest single. This clip should be a professional music video, and one that has been popular with your current fans. Don’t waste this opportunity on some vlog or a piece of content that only those who know you, your band, and your music well already. Introduce yourself to strangers (who are really just potential fans) with your best. This one should be a given by now, but you’d be surprised how many people miss opportunities to promote their social channels (or maybe you wouldn’t be). Not only should you include links to all of your profiles in your description, but you need to plant them within your page. Look to the top right of any professional musician’s YouTube profile page, and you’ll likely see a handful of social icons. 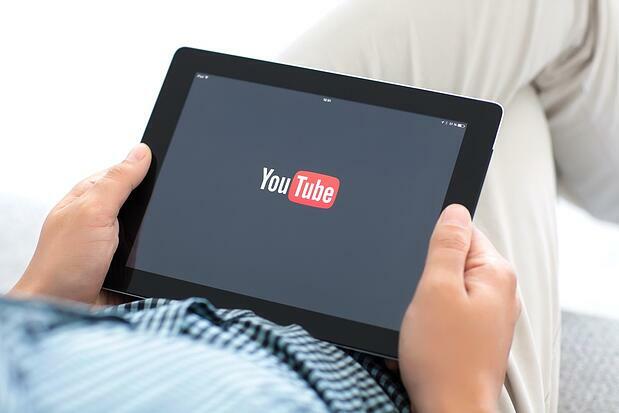 YouTube allows you to connect to everything you could need – Facebook, Twitter, Instagram, and a dozen other sites, any of which you can choose to utilize if you have a presence on those platforms. Making sure you have your links in both places sets you up to collect as many followers as is possible. Keep in mind that people might not see one link, or that they may decide they want to learn more at a point when they are no longer looking at one or the other. Don’t make them search for you.